Today is Wednesday. It's 10PM. Another day of hard work, fed by an insatiable ambition to make dreams a reality, to pass milestones and enjoy when reward comes. If you are reading this, chances are that your idea of reward might be that Porsche 911 standing in your driveway some day soon. But not just any Porsche 911. It was 1995 and you were merely 8 years old when you first saw Bad Boys, and ever since that moment you were convinced: one day she would be yours. 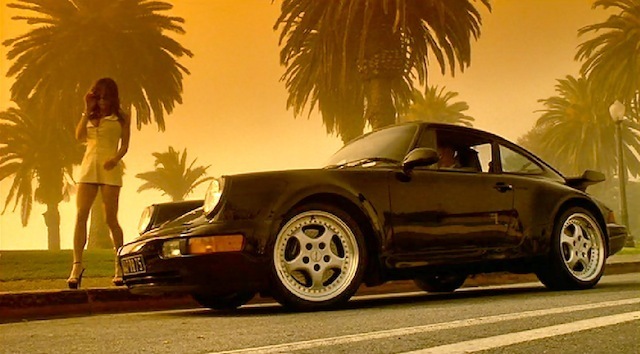 That wonderful, Uni Black 964 Turbo 3.6 which Will Smith's character was so proud of. Only 1,407 Turbo 3.6 cars were built between 1993 and 1994, representing a mere 2-3% within the Porsche 911 typ 964's total production number. Not easy to find that special car in an online marketplace that offers an infinite number of used car brands, ranking models based on standardized parameters such as price, model year or mileage. No need to search for a decent Toyota Corolla or a nearly new Volkswagen Golf. Nope. And don't even bother to find a lovely 928 GTS or a mythical Carrera GT on 911 Vintage. We walk the talk, and that means being all about the Porsche 911. Our classifieds database consists only of Porsche 911 cars, our blog only treats content related to the Porsche 911 and our commercial partners are all inherently passionate about the Porsche 911. We know you don't just want any Porsche 911. We wouldn't either. On 911 Vintage you are able to search specifically for that Porsche 911, whether if it's a 996 GT3 with Clubsport package, a 964 Jubi 30th Anniversary or a Pre-911 G Series in Blutorange. You name it. Our hopes for 911 Vintage is that it can leverage the power of the internet to bring fellow Porsche 911 enthusiasts together. We encourage you to share your opinions and expertise about the car with us and users alike. The more knowledge we can share about the car, the better. All of this will help to further constitute the 911's legacy as the world's most appreciated sports car. Let's keep the cult alive! This was Techno Classica 2017! Also in 2017 Techno Classica remains the greatest classic car exposition in Europe. There were countless Porsche 911s on display, making it once more really hard to identify our top pics. We’ll challenge ourselves and give you one.